If you follow ytravel you might’ve already come across Liz Carlson’s blog post about how she deals with some of the most common travel anxieties that I’m sure most of us have experienced at some point in time. There are a few amazing points in there, some of them are more realisations than anything. You’d be amazed just how much simply accepting something eases your anxieties, granted it isn’t an easy thing to do.Apart from straight up accepting that they happen (which is currently my go-to for getting through uncomfortable situations) there are a few things that you can employ, or at least pay mind to, to make you feel safer, more comfortable and happier while you’re on the road. If you don’t need to take it, don’t. The more things you take with you the bigger your backpack is going to be. Then you’re going to look like a backpacker and stick out like a sore thumb. That might make you a target. 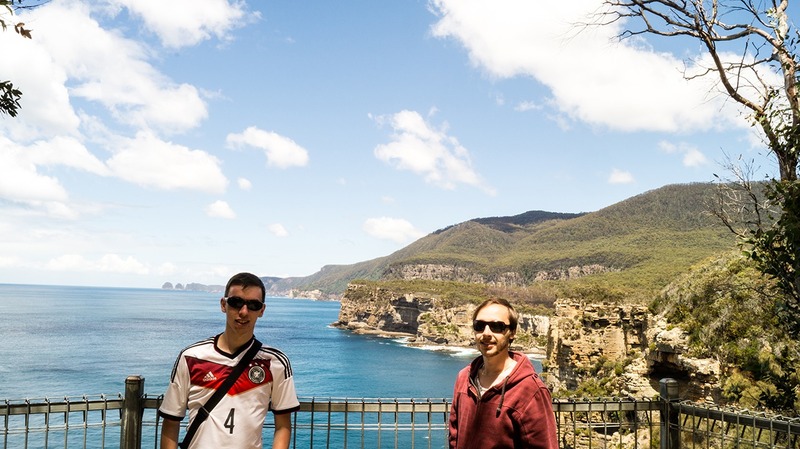 The more you look like the locals the less likely you are to run into any trouble. If you’re heading out for the day only take the essentials, and leave the rest locked up somewhere, preferably in a safe or something similar.I literally managed a week trip to Sydney with just my backpack, and it isn’t a very big one as you can see above. 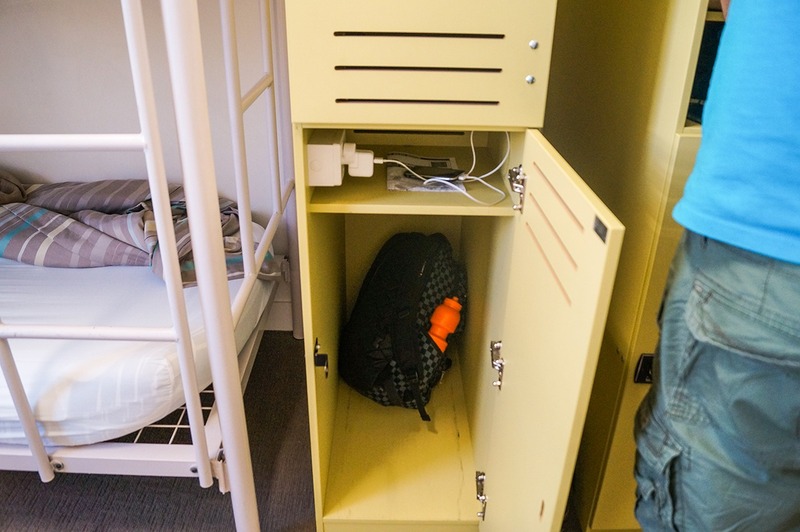 The best part about these kinds of lockers is that they also have mains sockets that you can use to charge your expensive gear without leaving it lying around in the floor in the hostel room. They’re becoming more and more common and are a much safer way to leave your phones and cameras charging over night, or while you’re out and about. I don’t mean walk around with 2 cameras or 2 backpacks. I’m talking about smaller items such as wallets. If you are unlucky enough to end up in a sticky situation, or get pickpocketed, chances are it’ll be a wallet or phone or something similar that you will lose. Use one wallet to carry enough cash for the day, not everything you have with you. This will limit the damage done if you either lose it or it gets stolen.Between the two of us here we have 1 camera, and 1 tripod. Everything else is small enough to fit into our pockets. We don’t have to carry any of our luggage around with us because it’s all safely locked away. That means we can take stupid pictures like this one and take the time to soak up and enjoy the surroundings. That includes guys. Wallets are great and all but things have a tendency to fall out of them. Most purses, or similar things, can be zipped up. If you must keep it in your baggage, and your baggage is locked up, it will stop things falling out and prevent you having to sift through everything you’ve brought along to find something tiny such as a ticket, a coin or a key. 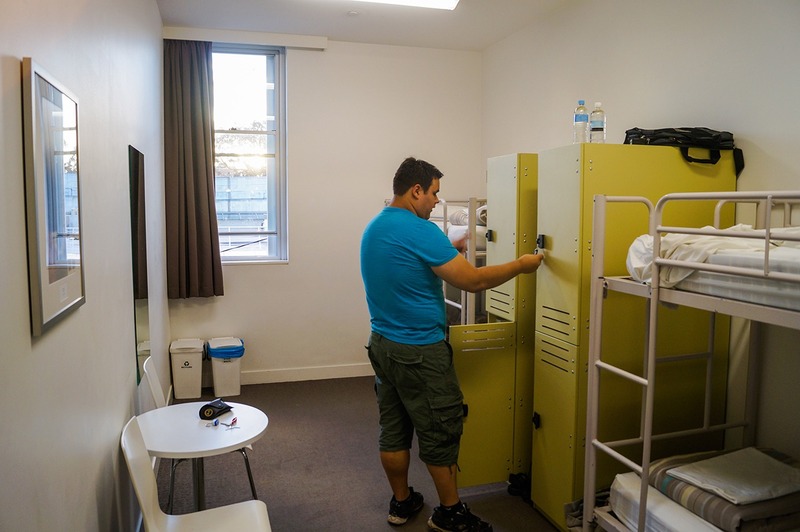 If you’re staying in a hostel the single best way to meet people wherever you are is the talk to the people you’re sharing a room with. Introduce yourself when you first meet them, don’t make it awkward by waiting a few hours to say hi. Once you’ve broken the ice you might have a new buddy to go exploring with, or at least someone to take with you to grab something to eat.The chances of staying in a room by yourself at a hostel are slim to none. In and around Sydney I spent a lot of time chilling with Travis (above) just chatting, finding places to eat or drink, and then exploring the city. It made the experience that much more fun by not doing it all by myself. That isn’t to say that doing things alone or in a small group is a bad way to do things, often, it actually has more benefits. No matter how you look at it, everyone you’ll meet at a hostel will be just like you: A person. They’ll probably be equally as anxious about finding someone to speak to, someone to trial the local restaurants with and someone to stop them being alone all the time. That means that you’re not alone in the situation. You’ve not got much to lose by meeting people on the road, and you could find out some really useful information on where to go, how to get around and which places serve the best chipolatas. When you’re travelling alone everything can seem that much more daunting. The reality however, is that you’re completely free to do whatever you want, whenever you want. If you want to stay in town for a few more days, you can. If you don’t want to go visit that museum, you don’t. Alone, you are the one that calls all of the shots. It’s your freedom to do whatever you like, whenever you like. Within reason, obviously. You might want to go eat breakfast at 11pm but unless you’re cooking yourself, that probably won’t happen.Like I mentioned before, being part of a small group, or being alone, lets you make decisions like this one. 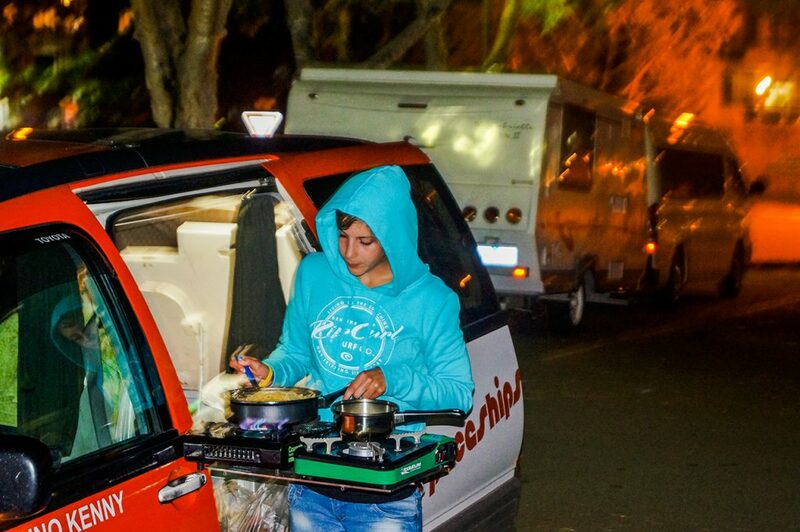 Pull over somewhere and just cook dinner because you can. Granted it isn’t easy cooking in the dark, which is why you find a nice street lamp to aid you. The point is, you decide your own itinerary. The places that we visit, just like our homes, are places where the locals live. They make their homes and their livings there. It might be a foreign land to you but someone else calls it home. For that reason, you don’t need to worry too much or stress yourself about where you shouldn’t go. I wouldn’t go wandering down a dark alley alone at night, not at home, not abroad. They’re essentially the same. I don’t tell strangers where I live or where I’m staying, I don’t show off any money that I’m carrying, and I keep my personal belongings with me. These are all the same at home as they are on our travels.If you’ve figured out your own ways of overcoming travel anxieties, then let us know. You might have the perfect way to make a fellow traveler’s life much more relaxing and far less stressful.